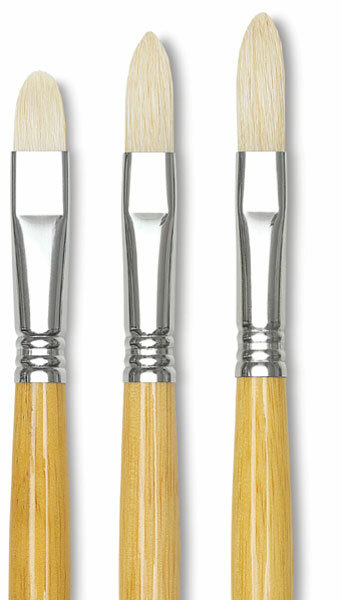 Escoda creates its Clasico Chungking White Bristle Filbert in three different lengths - Short, Regular, and Long. 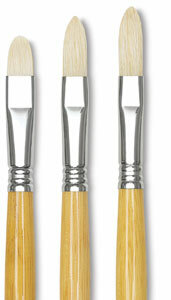 Escoda handcrafts premium-quality bristle to create a superior quality brush that stands up beautifully to heavy paint. In select sizes, with a head several millimeters longer than the standard Filbert, for extra color capacity and a softer touch.